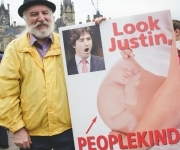 We need as many people as possible to show up on Parliament Hill, the doorstep of our federal government, to join us in our promise to claw our way to the day when Canada is known worldwide not as a harbinger of death, but as a bringer of life. This 2019 March for Life, we march in promise not to stop until we end Canada’s abortion legacy. 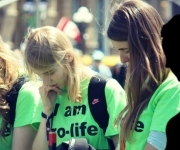 The 2019 National March for Life will commemorate the 50th anniversary of the passing of Pierre Elliott Trudeau’s omnibus bill, which decriminalized abortion. As we rally and march down the streets of our nation’s capital, we will reflect on all the anniversaries and birthdays denied to the victims of Canada’s abortion regime. That’s a wrap, folks! 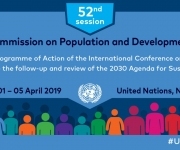 The 52nd Session of the Commission on Population and Development (CPD) has officially come to a close and, despite what you may think, there’s a bit of a fresh breeze blowing in. The pro-life movement has really hit its stride and this is no time to stop, slow down, or compromise. Halfway through CPD52 and Canada’s lying to the world. We’re back! 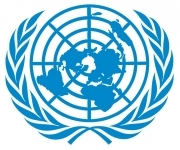 Campaign Life Coalition Youth is once again on the scene at the United Nations. This time, it’s the 52nd session of the Commission on Population and Development. 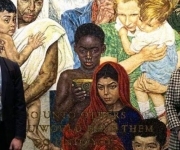 I do not understand how the walls of the UN can say one thing (though, admittedly, in somewhat of a garbled manner, given the darker artwork), but the people within these walls say another. The first two days of the second week have come to a close and while the focus of this week will be the negotiations, the events continue as per usual – some are a bit shocking and others are inspiring.